This has got to be the coolest pumpkin beer ever. They mashed in a huge pumpkin then racking to another pumpkin for primary fermentation. True innovators! I kegged the porter yesterday and there was enough left over for half a pint to enjoy. Even uncarbonated it was delicious. I also moved the pumpkin ale and IPA into secondary, and while they both seem to be at their target gravity, I had to move the pumpkin to add spices, and the IPA so it could be dry hopped. The pumpkin ale had a mellow, clean body that will hopefully be improved with spices, and like Scott mentioned, the pumpkin flavor is rather minor. 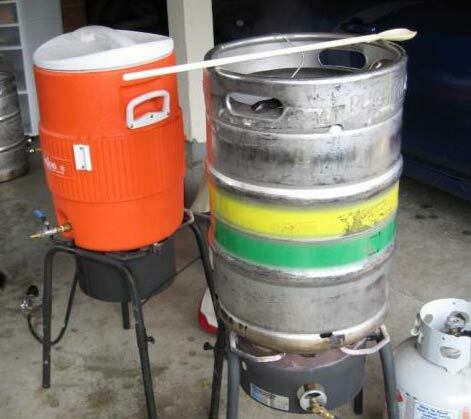 We’ll see what happens in the keg. There are about 3 gallons of it and lots of trub/scum in the carboy. The Imperial IPA had a lovely aroma and huge hop flavor, just like I wanted. Somehow it’s down just just over 5 gallons of beer, which is rather sad. Live and learn. Every time we head back to Yakima to visit family, I feel like I should put the growler in the car so I can pick up some Grant’s Ale on the way home. Then I remember that not only is Grant’s defunct, there are no breweries in Yakima. Hop Central. In the last few years, I’m not sure if my palette changed or the beer changed, but I never got tired of having the Perfect Porter or Imperial Stout on tap. This time of year, you could get the orginal Fresh Hop Ale as well. Delicious. 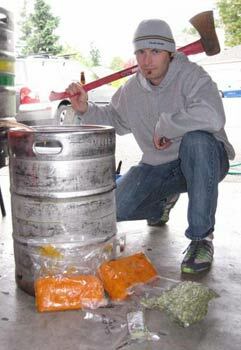 I headed up to Snohomish this weekend to visit one of my brew buddies Scott. We were going to attempt a 10 gallon batch of pumpkin ale together first, then we’d each brew our own beers: He a Belgian-style brown, and I went for a big IPA. We started at noon – much later than we ought to have, and brewed straight to 10:30pm. Friends from Bellingham came down to hang out, assuming like we did, that we’d be done by 6pm. However, our timing was a little off. The pumpkin ale (recipe forthcoming) took much longer to mash & lauter than we expected, and we didn’t finish the boil until after 6 p.m. I suppose this is ok since it was a double batch, though we only pulled off like 8 gallons instead of the expected 10. Both the hot break and the krausen have a sickly lovely orange cruft on top showing that it was indeed a pumpkin ale. I baked the pumpkin down here in Portland and froze it in bricks, so they looked somewhat like illicit materials, along with the hops. We couldn’t resist doing a “drug bust” picture, but without guns, the only thing we could find was an axe. Not quite the effect we were going for, but funny in its own right. Scott’s bruin went well and finished a while before mine and looks and smells exactly like you’d hope. The Imperial had some issues because the grain was so plentiful, and I formulated the recipe for 8 gallons, forgetting that I only had a 7 gallon carboy. 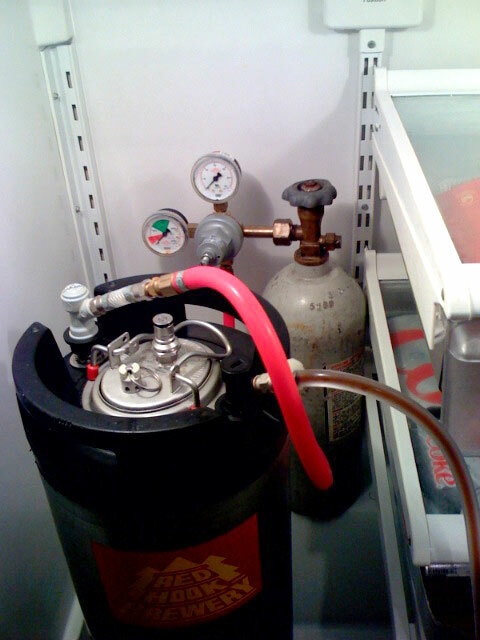 “Idiot” I was, and though the car had been full of brewing gear, I had not brought a third carboy. Needless to say, the mash wasn’t that efficient since I cut it short, and the gravity was a little lower than expected, finishing at 1.074. Still, it smells delightful, and the car ride home was hoppy. I had to roll down the windows several times on the drive home for fear that I would put myself to sleep with all the carbon dioxide that the two fermenting beers were exhaling. 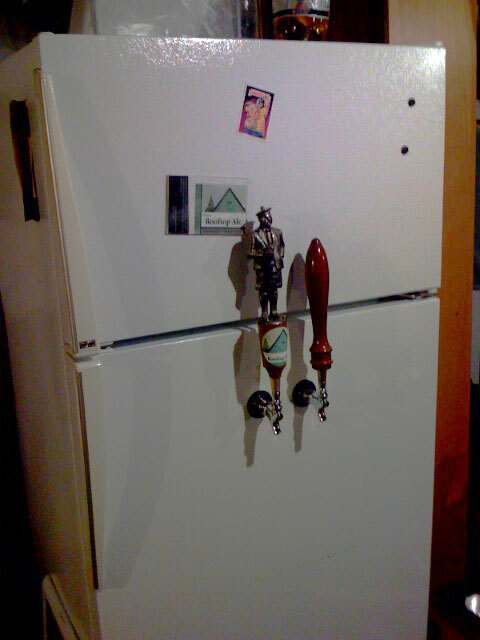 I did make it, and every time I pass the IPA, I catch a ripe, grassy smell. Just a note, the porter tastes awesome. It’s already at target gravity, but I moved it to secondary anyway to give it one more chance to get infected. 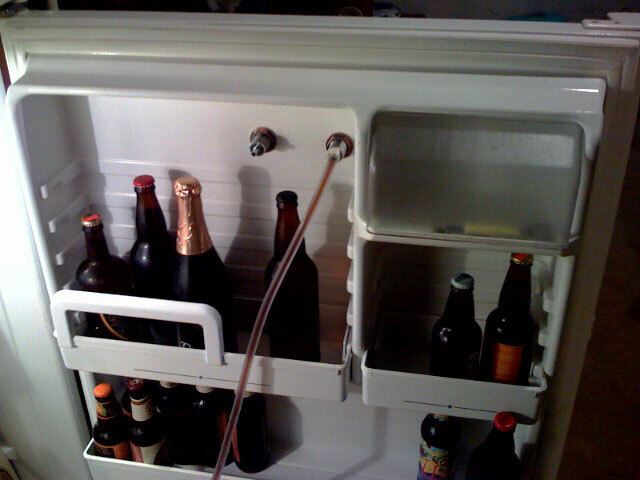 I don’t really want to bottle, so I may move it to keg even though I don’t have a fridge yet.